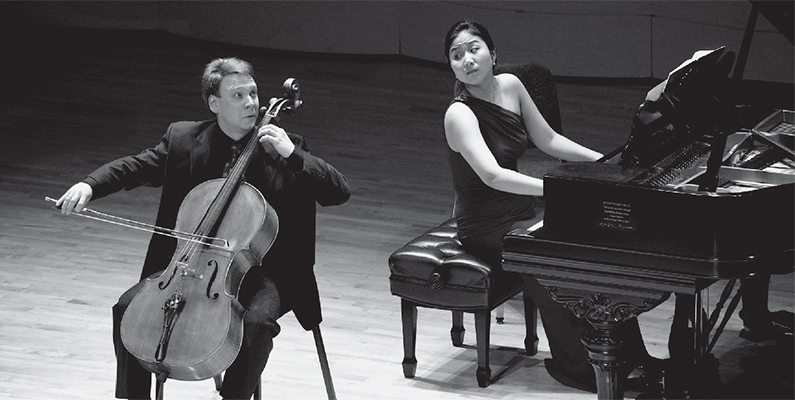 Music@Menlo audience favorites and husband-and-wife duo Dmitri Atapine and Hyeyeon Park complement the season’s itinerary with a three-part recital program of some of Western music’s most relentlessly peripatetic composers. Alongside pieces by such iconic figures as Beethoven and Boccherini, the program offers lesser-known gems by the Russian cellist and composer Karl Davidoff (who encountered Schumann and Mendelssohn in Leipzig before returning to St. Petersburg), John Field (an Irish composer who emigrated to Russia), and others. Carte Blanche Concert III concludes with Chopin’s dazzling Introduction and Polonaise brillante.